Von Würckungen Derer Artzneyen In dem Menschlichen Leibe/ Zeigende Die wahre Ursach von deren unterschiedlichen Würckungen. Wie auch Ein Entwurff von einer Neuen Pharmacie, Nach der heutigen Arth Artzneyen zu verschreiben / Beydes durch Steph. Blankart, Ph. & M. D. und Practicum zu Amsterdam Vorgestellet Und aus dem Niederländischen ins Hochteutsche übergesetzet Von Johann Christian Rodochs, D.
Des Principes de l'Architecture, de la Sculpture, de la Peinture, et des autres Arts qui en Dependent. Avec un Dictionnaire des Termes Propres Ã chacun de ces Arts. (XXII), 797 pp. detailed handbook to the principles and practice of architecture, painting, sculpture, and related disciplines, lists, extensive dictionary (332 pp. ), with substantial entries, of terms pertaining to the arts, 65 nice full-page engraved plates. 4to. Recent vellum-backed boards, raised spine. Paris (Coignard) 1690. Second revised edition. Guglielmo de Jonge, 1690. Teatro Belgico, o vero Ritratti historici, cronologici, politici e geografici, delle sette Provincie Unite. LETI, Gregorio. Amsterdamo, Guglielmo de Jonge, 1690. 2 volumi in - 4°, pergamena coeva, dorso a nervi con insignificanti tarlature nel secondo volume. (12), 472, (12) pp. ; (8), 488, (16) pp. Con bel frontespizio allegorico in entrambi i volumi e 212 magnifiche incisioni in rame (fra tavole f.t. in gran parte ripiegate) e illustrazioni n.t. raffiguranti i costumi popolari e militari, ritratti di personaggi illustri e grandi vedute prospettiche di città, oltre vignette, vedutine, carte geografiche e topografiche. Alcune rappresentano scene di battaglie terrestri e navali, sedute di parlamenti, ecc. Bell' esemplare di questa pregevole e rara opera di grande interesse iconografico, la più bella e vivace descrizione storica , sociale e geografica dei Paesi Bassi. Edizione originale ed unica. Gregorio Leti (1630 - 1701), di Milano, fu letterato e storico, autore di numerose opere riguardanti la cultura contemporanea. Graesse, IV, p. 183. D.B.I., 64°, pp. 717 - 23. Nürnberg, Endter, 1690 - [[gestochene Titelallegorie] 4] Bl., 1094 S.,  Bl., VD17 14:083766U Ausführliche Bschreibung von England Schottland und Irland. Verf. ermittelt, s. Holzmann-Bohatta Bd. VI, Nr. 5530. - Druck ursprüngl. fälschlich Johann Beer zugeordnet (vgl. Dünnhaupt, S. 488, F. 6) Sprache: Deutsch Gewicht in Gramm: 1200 4° Ganzlederband über fünf Bünden (Kanten und Kapitale beschädigt) fehlen die Kupfertafeln und Karten. Pierre Mariette 1690 - Carta geografica incisa su rame e colorata, raffigurante il continente africano redatta da N. Sanson, cartografo e geografo del re di Francia. Stampata a Parigi dall'editore Mariette. Histoire des arabes sous le gouvernement des califes. Four volumes. Paris 1750. 12mo. Pp. (iv), liv, 8 tables, 460; (iv), 535; (iv), 504, (19) table; (iv), 479, (4). Contemporary calf, spines richly decorated in gilt and with red title-labels. A beautiful copy of the first edition. Abbé de Marigny (1690-1762), French historian, covers here the history of the Caliphs from Mahomet to the death of Mostazem. Includes a long preface about earlier works by Herbelot, Rollin and Renaudot. Cox i, p. 228. Gay 3586. Graesse iii, 399. Thonnelier, Cat. de la bibliothèque orientale, 3225, 1750. Patria del Friuli olim forum Iulli. 1690 ca.. Incisione in rame, coloritura originale d'epoca, mm 375x485. Non comune, decorativa carta, arricchita da due elaborati cartigli. Piacevole carta del territorio. Schenk e Valk fondarono una società editoriale che pubblicò lastre acquistate da editori precedenti. Ottimo esemplare marginoso. Schenk P. & Valk G.
Kst.- Karte, b. Schenk und Valk, "Suffolcia vernacule Suffoske". - mit altem Flächenkolorit, um 1690, 37,5 x 48,5 Dek. Karte der Grafschaft. Die Titelkatusche ist umgeben von zahlreichen Wappen. Links unten ein Meilenanzeiger.- Mit Gradnetz und tadellos erhalten. Erörterung und Erläuterung der Frage, ob es ein gewiß Zeichen, wenn eines todten Kindes Lunge im Wasser untersincket, dass solches in Mutter - Leibe gestorben sey ? Ulm, Wagner 1690.. Tle. 1 und 2 (von 4) in 1 Band. Mit Kupfertitel, gest. Portrait und 5 Kupfertafeln. 8 Bll., 382 S., 3 Bll. ; 2 Bll., 398 S., 3 Bll. Prgt. d. Zt. VD17 23:233674T und 23:233680U; DÃ¼nnhaupt S. 1964, 19; Goed. III, 258, 12. - Stark autobiographisch gefÃ¤rbter Roman des produktiven Schriftstellers. - RÃ¼cken stÃ¤rker lÃ¤diert. Oberes Drittel durchgehend feuchtfleckig. Kst.- Karte, aus "Mercurio Geographico" v. Giorgio Widman n. G. Cantelli da Vignola bei G.G. Rossi, "Regno di Napoli . 1679". - mit altem Grenzkolorit, um 1690, 55,5 x 45 (H) Mit 2 dek. Kartuschen, die.Titelkartusche links unten. Die Karte zeigt Süditalien ohne Sizilien. 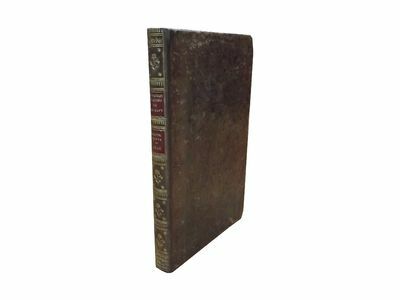 London: No Publisher, 1690. , 214pp, . Contemporary mottled calf, modern reback, raised bands, spine in six panels, title label to second panel, matching author label to third, remaining panels with central floral device. Rubbed to extremities with a few small scrapes, small amount of loss to surface leather on lower cover. Lightly browned throughout, with several manuscript corrections to text and several cancels. Previous owners name to head of title and an armorial bookplate to front pastedown. Engraved portrait frontispiece (by White after Kneller), title in red and black, folding table. The less common variant edition without the publishers name. Pepys' "only acknowledged publication. Upon this he lavished a great deal of thought and care" (Pforzheimer). Pforzheimer 793, Wing P1449, NMM 5: 691. First Edition. Full Calf. Good+. 12mo. Les Evenemens Les Plus Considerables Du Regne De Louis Le Grand. Mare Balticum/ Nieuwe Pascaert van de Oost Zee. Partie du Royaume de Hongrie, vers le Septentrion et l'Orient. Par le P. Coronelli.etc. Artist: Nolin JB after Coronelli; Issued in: Paris; date: 1690 - Artist: Nolin, J.B after Coronelli; Issued in: Paris; date: 1690; - Condition: Perfect condition; Map depicts the norteastern part of Hungary with Budapest, K&#138;smark (Kezmarok) bto Transilvania.Coronelli Vincenzo, MariaRavenna 1650 - Venezia 1718 Cosmographer, geographer, biographer, encyclopedist, globe maker, inventor, expert of engeneering and hydraulics. Extraordinarily versatile mind and an extremely tireless man, he produced more than 140 pieces in different genres. At the age of 15, he entered the Franciscan Order, which he then guided as Gran Generale from 1699. He became famous as geographer and mathematician, awakening the interest in these subjects in Italy at the end of the XVII century. Poesie varie eroiche, liriche e per musica. Angebunden/legato: Cupido scultore per le nozze delle Sereniss. altezzse Odoardo. Todi: Galassi 1690. Angebunden/legato: La musa risvegliata oda., Todi Faostini 1690. Angebunden/legato: Le meraviglie di Monaco. Oda. Todi Faostini 1690. Angebunden/legato: Vaticinii delle Muse per la S.R. Maesta di Giuseppe d'Austria. Poema geneatico. Todi: Faostini 1690. Fürstl: Sächß: Residents Stadt Gotha. Gesamtansicht der Stadt Gotha. Oben 2 Wappen, unten Legende A-Q. Frankfurt 1690 - Kupferstich. Frankfurt, 1690. 26x48. Gestochen von E. Nessenthaler, gezeichnet von Wilhelm Richter. Artist: Anonymous; Issued in: unknown; date: c 1690 - Artist: Anonymous; Issued in: unknown; date: c. 1690; - Condition: Left margin perfectly replaced and partly right margin; Very decorative view of a part of Stockholm with coat of arms, offshore ships and figires in the foreground. Coat of arms banner of Hollandia, Botnia Australis, Nylandia, Kexholm, Tawastia, Narva, Wismaria, Rugia, Ca§ubia. Tribuum Ephraim, Beniamin, et Dimidiae Manasse intra jordanem partes occidentales, et parte septentrionales Dan et Juda. Artist: Janssonius J / Hornius; Issued in: Amsterdam; date: c 1690 - Artist: Janssonius, J. / Hornius; Issued in: Amsterdam; date: c. 1690; - Condition: Counterlaid in the centerfold; Decorative map of Holly land Fanasseh, Ephraim, Dan and Benjamin, from the Hornius edition of the Ancient Atlas by Janssonius.Johannes Janssonius ( 1588- 1664 Amsterdam) was born in Arnhem, the son of Jan Janszoon the Elder,a publisher and bookseller. In 1612 he married Elisabeth de Hondt, the daughter of Jodocus Hondius. He produced his first maps in 1616 of France and Italy. In 1623 Janssonius owned a bookstore in Frankfurt am Main, later also in Danzig, Stockholm, Copenhagen, Berlin, K&#154;nigsberg, Geneva and Lyon. In the 1630s he formed a partnership with his brother in law Henricus Hondius, and together they published atlases as Mercator/Hondius/Janssonius. Under the leadership of Janssonius the Hondius Atlas was steadily enlarged. Renamed Atlas Novus, it had three volumes in 1638, one fully dedicated to Italy. 1646 a fourth volume came out with English County Maps, a year after a similar issue by Willem Blaeu. Janssonius' maps are similar to those of Blaeu, and he is often accused of copying from his rival, but many of his maps predate those of Blaeu and/or covered different regions. By 1660, at which point the atlas bore the appropriate name Atlas Major, there were 11 volumes, containing the work of about a hundred credited authors and engravers. It included a description of most of the cities of the world (Townatlas), of the waterworld (Atlas Maritimus in 33 maps), and of the Ancient World (60 maps). The eleventh volume was the Atlas of the Heavens by Andreas Cellarius. Editions were printed in Dutch, Latin, French, and a few times in German. PASKAART VAN DE ZEE-KUSTEN VAN VALENCE, CATALONIEN, LANGUEDOC EN PROVENCE.&#146;. Scarce Dutch sea chart of the Spanish coast of Catalonia with the Balearic Islands Ibiza, Mallorca and Menorca, extending to the French coast of Languedoc and Provence, with inset plans of Mahon, the coast of Mallorca and Marseilles and a figuartive cartouche. Johannes van Keulen, Amsterdam ca. 1690 - 50x58cm. North orientated to the right. Uncoloured. Strong impression. Excellent condition. Published in van Keulen's &#145;De Nieuwe Groote Lichtende Zee-Fackel&#146;. Amsterdam, 1690 - Incisione in rame, coloritura originale d'epoca, mm 382x495. La carta, arricchita da numerosi animali, mostra una fantasiosa raffigurazione del centro-sud del Continente nero, ricco di laghi e fiumi. Bel cartiglio figurato in basso a destra. Schenk e Valk fondarono una società editoriale che pubblicò lastre acquistate da editori precedenti. Buon esemplare con minime tracce di umidità marginale, piccolo rinforzo alla piega centrale. Ordines Plantarum quae sunt Flore irregulari. Lipsiae, sumptibus Autoris, C. Güntheri; C. Fleischeri; J.H. Richteri, 1690-1699. 4 parts (bound in one). Large-Folio (447 x 290mm). With 385 engraved plates. Contemporary full calf, gilt coat of arms on covers, spine with 6 raised bands, richly gilt, with red gilt lettered label (very skilful rebacking). Our copy collates as Junk's copy, see Junk Rara I, p. 60. Nissen has one plate less than the above copy. All published by Rivinus, a supplement part was published much later in 1764 by C.L. Ludwig with 17 plates. The present work is a great botanical rarity, there was no copy in the Plesch collection and only a copy with 244 plates, in rather bad condition, in the de Belder collection. "The principal strain of endemic German taxonomy goes back to A.Q. Rivinus... and his 'Introductio generalis in rem herbariam' of 1690. Rivinus was, in Linnaean terminology, a 'corollist'. 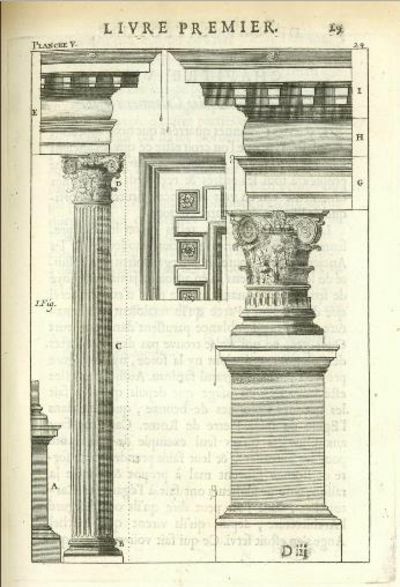 He rejected the age-old basic split in the plant kingdom between trees and herbs and proposed a purely utilitarian system based on the structure of the corolla ... Rivinus did not pretend to propose a natural system; like his contemporary Tournefort, he just wanted a simple and orderly device to classify plants. 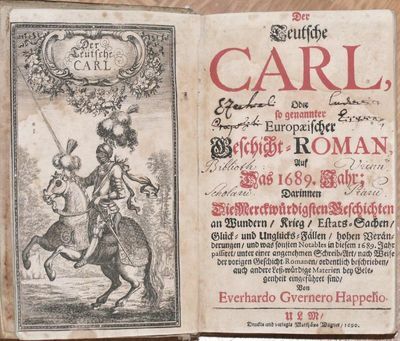 This Rivinian strain of thought was taken up by quite a few of the later German authors." (Stafleu. Linnaeus and the Linnaeans pp. 241-242). /August Quirinius Rivinus (Leipzig 1652-1723, Latinised name for Bachmann) was professor of pathology at the University of Leipzig. "Rivinus' main scientific interest, however was botany, particularly botanical taxonomy. In 1690 he published 'Introductio generalis in rem herbariam', with 125 tables of 'plants with irregular flowers of one petal' (Labiatae and others). Atlases of 'irregular' flowers of four petals (mostly Leguminosae, 121 tables) of five petals (mostly Umbelliferae, 139 tables) followed in 1691 and in 1699. Rivinius published these tables at his own expense; and it is therefore no wonder that he could not afford to bring out the last volume he had prepared, which dealt with 'irregular' flowers of six petals (orchids). He anticipated Tournefort and Linnaeus in devising an artificial system of plant classification (ordines) based on the number of petals of a flower and on its regularity or irregularity? Since he emphasized the need for short plant names of no more than two words, Rivinius was a pioneer of modern binomial nomenclature" (DSB I, p, 368-9)./Collation of this rare work is difficult and most bibliographies disagree. /Except for the occasional browning, due to the quality of the paper, and which all copies have, an excellent copy in a very attractive binding.//Nissen BBI, 1642. Memoires Relating to the State of the Royal Navy of England, For Ten Years, Determin'd December 1688. Nicolas Sanson ca. 1690 - 68x87cm. The map in original outline colour. Excellent condition. Memoires Relating to the State of the Royal Navy of England . . . Printed Anno. First edition, the issue for private distribution without the commercial imprint on the title-page; the regular issue has the full imprint: "London: Printed for Ben. Griffin, and are to be sold by Sam. 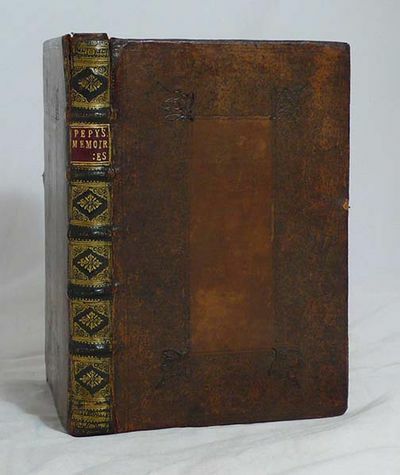 Keble, 1690.. Edges a little rubbed; upper joints starting, but sound; fine copy.. Pforzheimer 793 (regular issue with the full imprint); Wing P-1450. 8vo, contemporary panelled calf, red morocco label, gilt decorations and lettering. Frontis portrait and folding table. Pepys' account of what he thought was needed for the Royal Navy, written just after his retirement as Secretary of the Navy in 1688. It is the only work that is known to have published in his lifetime. This copy has nine of the manuscript corrections (in Pepysâ€™ hand or under his direction) and the usual cancels. Early ink signature on the title-page of "Northesk," which is probably that of John Carnegie (1756-1831), the seventh earl of Northesk, who served in the Royal Navy with great distinction.